Hi, totally new to TFL .. I have only been using my Westbend since about Feb, totally committed to not buying store bread. However, stopped making bread when Summer got hot. 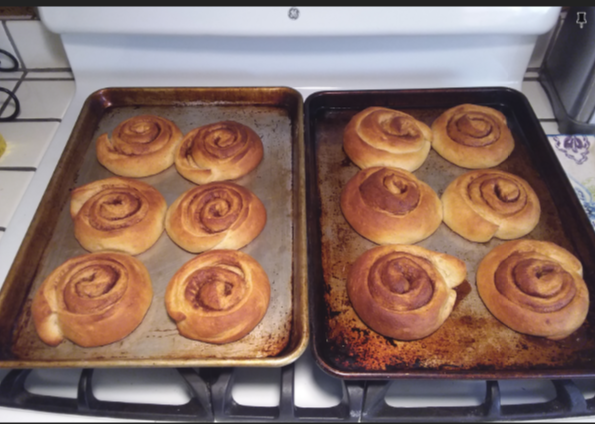 So far I mainly use the breadmaker for mixing bread, and pizza dough, and made my 1st cinnamon rolls (see below) a couple days ago. I have only made 2 loaves allowing the Breadmaker to do the loaf start to finish. 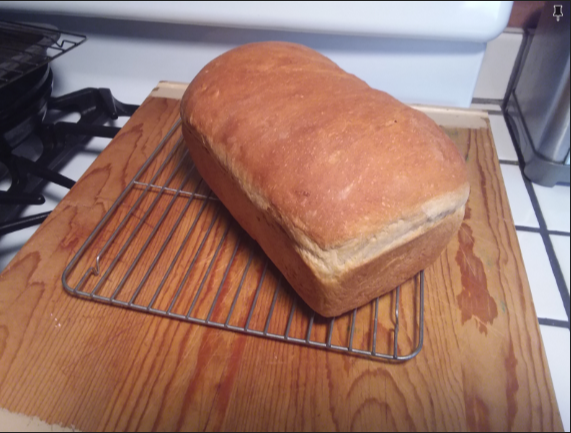 Instead, I mainly use the Westbend for a mixer and 1st & 2nd proof, the 3rd proof I remove the dough and shape place in a Wilton 9.25x5.25 non-stick loaf pan. Then finish in the oven. The 1st loaf is my normal recipe with bread flour and whole wheat. 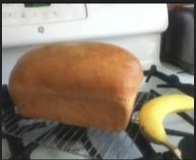 2nd & 3rd image is cheerios bread, lol, I was out of both bread and whole wheat flour, so use AP flour and for the whole wheat, ground up some Cheerios Honey Nut cereal. This was 1st loaf I made with AP, and the crumb was very light and airy. Almost too light if sliced still warm about 30-40 min after baking. However after day 1/2 on the counter, sliced end down on breadboard, the crust firmed up and some of the moisture escaped from inside. 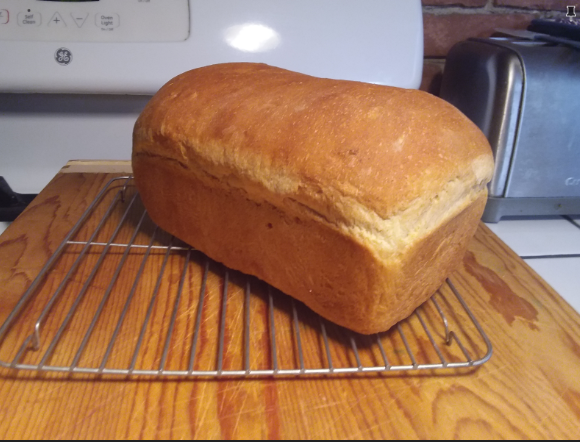 I then bagged in a plastic bread bag, and the texture was perfect a few hours later. If anyone wants the recipe I use, I can post, these are 4 cup flour size. I needed more cinnamon and brown sugar inner coating. 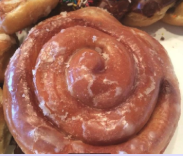 I think the amount used in the recipe was normal, but IMHO, since the taste is going to be slightly different that a Donut Shop cin.roll, then I want the first noticeable flavor to be cinnamon and brown sugar. 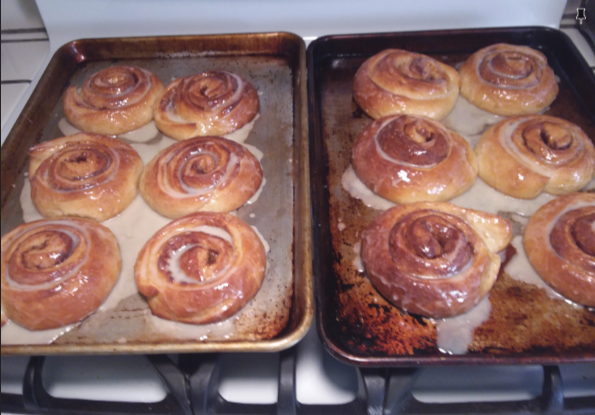 Most homemade cin rolls the 1st thing one is hit with is heavy icing almost cake like. You can see I went for a lighter glaze, I am not a big fan of heavy icing, its just overpowering sugar. The size is about right 5-6 inch. The next day, after 15 sec in microwave these were YUM still. Not sure the best way to keep overnight. I left them on wax paper on the tray, cover with plastic cover for these baking trays I doubt that it is airtight. The recipe for the size cin roll produces 12 cin rolls. I want to make the dough the night before and cook next morning 1/2 the dough. The recipe I used is standard proof initial dough ball till double in size, roll out add cinnamon & brown sugar and butter, cut and shape, proof then bake. Which would be the best method to retain flavor. 1. make dough and bulk 1st proof in fridge overnight. next day separate 1/2, other half stays in fridge. (if this method recommended, should I reduce yeast amount, similar to no-knead dough where slow proof is used. 2. make dough divide dough proof both halves in fridge overnight, use half the next day. 3. make dough proof till dbl in size, roll out , cut and shape, do 2nd rise of cut n shaped dough in fridge overnight. Anyone wanting the recipe and procedures, ask I will post. You can do any of those methods for your cinnamon rolls-which look absolutely delicious,BTW. The method you choose may depend on refrigerator space and your time available. 2. You can mix the dough (do not bulk ferment) and then refrigerate overnight, take out and bulk ferment the rest of the way the next day (it usually raises some of the way in the refrigerator) , shape, final proof and bake. 3. Make the dough through bulk ferment and punch down. 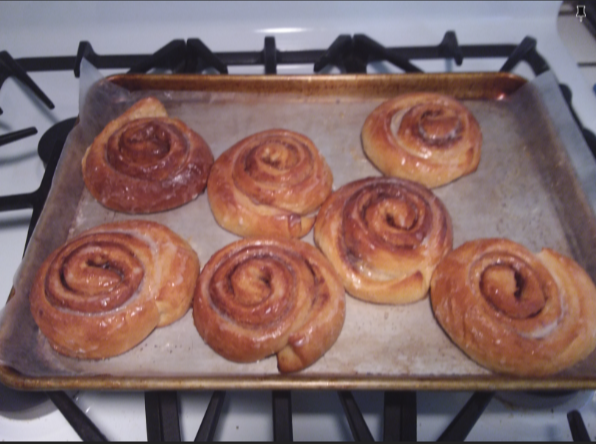 Refrigerate overnight and the next morning shape the cold dough into rolls,final proof, bake. Prevent them from drying as they proof. All methods work-it just depends on where you want to spend time. Flavor is developed in the dough on bulk fermentation and retarding with cold can improve flavor. So it looks like it is time for some experimentation! Have some delicious fun! Thank you clazar123 for the reply. I will try in a day or two, creating dough 1st proof, then shape, refrigerate 1/2 the batch and other half 2nd rise then bake same day.